Medical School Scholarships is the best type of financial aid for medical school. Scholarships and grants are FREE money. Caution: make medical school loans your last resort of funding your education. Unlike scholarships or grants loans must be repaid along with the interest too. With the average medical school student graduating with $160,000 in medical school debt finding medical school scholarships is a must. Getting free money to continue your education is not easy but it can be done. If you don't like how much you will be paying for medical school contact the financial aid office and negotiate a better award. Your negotiations need to be in full-swing by May before you commit to a particular medical school. This gives your bargaining power because you can leverage the fact that XYZ medical school is offering you more in scholarship money and you need an equal award or you will have to matriculate at the other institution. Be prepared to get the run around about how you have already received the best medical school financial aid award possible, but negotiate because there are always institutional funds available. You just have to be persistent. Think of the alternative of if you do not make your case now for more medical school scholarships, the cost of a medical school education is not going to decrease and you will be stuck footing the bill, so be proactive now. In many cases future scholarships for medical school will be based off of your first offer, so getting medical school grants now is very important. Your medical school scholarships are going to vary by institution and in many cases they are not going to be published online. You will find that each school has their own sources of funding from prominent alumni, federal aid received, or research breakthroughs. A merit medical school scholarship is awarded based on your merit as seen by your scholastic aptitude. 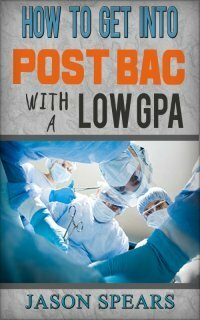 Medical schools base their criteria on two main factors your grade point average (GPA) and the Medical College Admissions Test (MCAT). Now you know why you shouldn't slack off in your premed studies because it could cost you money, albeit in the form of medical school grants, but this is real money we're talking about. Every medical school is going to have their own rules and criteria for awarding merit scholarships. 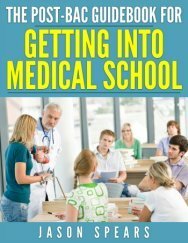 Some medical schools not only provide merit scholarships to high achieving incoming students but also to those already enrolled in medical school. For instance, if you place in the top 10 - 20% of your medical school class you may be eligible for a merit scholarship for the remaining years of your medical school education. The AMA Foundation is the philanthropic arm of the American Medical Association which offers medical school scholarships to medical students. awarded to rising 2nd or 3rd year minority medical students. If you are willing to trade time in the military for a medical school scholarship you must consider the Health Professions Scholarship Program (HPSP). The HPSP is offered through several branches of the military: United States Army, Air Force and Navy, but not the United States Marine Corps. The Marines get their medical support from the Navy. Be enrolled or have a letter of acceptance to an accredited graduate program in the U.S. or Puerto Rico. Meet criteria for appointment as a commissioned officer in the U.S. Army Reserve. Maintain a full-time student status during the entire length of your program. In return the military branch which you are apart of is going to provide you with a medical school scholarship where the Air Force offers three and four year scholarships, while the Army offers one to four year scholarships. are paid for by your sponsoring military service. There are going to be some expectations of you such as serving 45 days of active duty for training, and in your third and fourth year completing a clinical elective at a military hospital. After graduation from medical school you will be promoted in military rank and will be placed on active duty during your residency which can be in a military or civilian hospital. One caveat, is that you must apply to a military residency and if offered must take it, but since you're in the military you will have a higher pay than your civilian counterparts in residency. Just be aware that there is a service obligation. For every year that the military paid for your schooling, you will be required to serve one year in the military. Which in the grand scheme of things is a very fair tradeoff. If going the military route is too much for you to stomach then a great alternative in the civilian world is the National Health Service Corps (NHSC). To be eligible you must be a U.S. Citizen or National and enrolled or accepted in an accredited program located in the United States. Your service commitment requires that you serve one year for each year of support (minimum of two years of service) at an approved site in a high need Health Professional Shortage Area soon after you graduate and must be apart of a primary care residency.